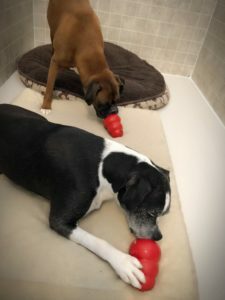 Cooper & Bella enjoying their Tasty Kong Treats. Our stuffed Kongs are a great way to provide fun and mental stimulation. Each Kong is individually stuffed with homemade, healthy and delicious ingredients. 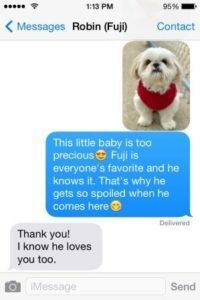 Do you worry about your furry family member when you are out of town? Would receiving personalized messages via text or email help ease your mind? Customize by selecting the number of messages, specific days and delivery method. Our Dog Taxi is available 7 days per week. Transportation to the vet for his annual check up or diagnostic appointment. 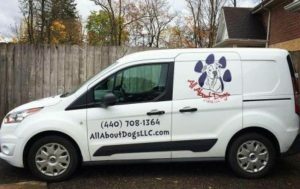 Pick up and drop off at our facility for a grooming appointment, doggy daycare or overnight boarding. Delivery of any food or treat we carry in our store. Saturday & Sunday taxi is an additional $5 fee. Advanced scheduling is required to ensure staff availability. Anything over 10 miles is by pre-approval only.